A young man is embraced in a community of love and lifted out of an injury-induced depression. 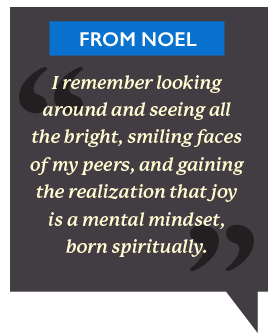 When Noel attended his first DiscoveryBound Outreach event, he was coming off a rough year. He had been in a skateboard accident the summer before 8th grade that landed him in the hospital for a week. His friends had started drinking and using marijuana, leading to his isolation when he refused. And at school, his grades collapsed. Noel made progress in the hospital that was quicker than expected, but he was still facing the effects of head trauma. He needed extra help with his school work and was experiencing depression. 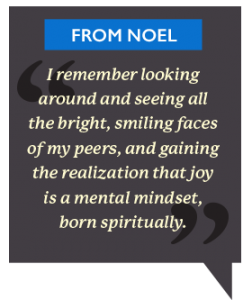 In turning to God and attending Sunday School, Noel found he was yearning for a new, supportive community of friends – those who shared his values and interests. He learned about DiscoveryBound Outreach from his Sunday School teacher and, encouraged by his Sunday School classmates, he started attending local and regional weekend events. 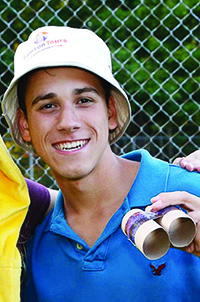 Noel appreciated the physical and mental stimulation provided at the Crystal Lake Camps weekend, and eventually felt he could challenge himself with a “Leap of Faith” on the ropes course. The leap he made at this event led to many others in the Northeast, including an overnight New Year’s Eve Owl Howl and a winter weekend in New Hampshire. “He was a bright light with a huge smile every time he attended,” Lori says. 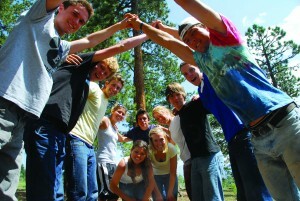 DiscoveryBound Outreach is a community program that provides local activities for all ages, regional retreats and national teen weekends for Christian Scientists and their friends.